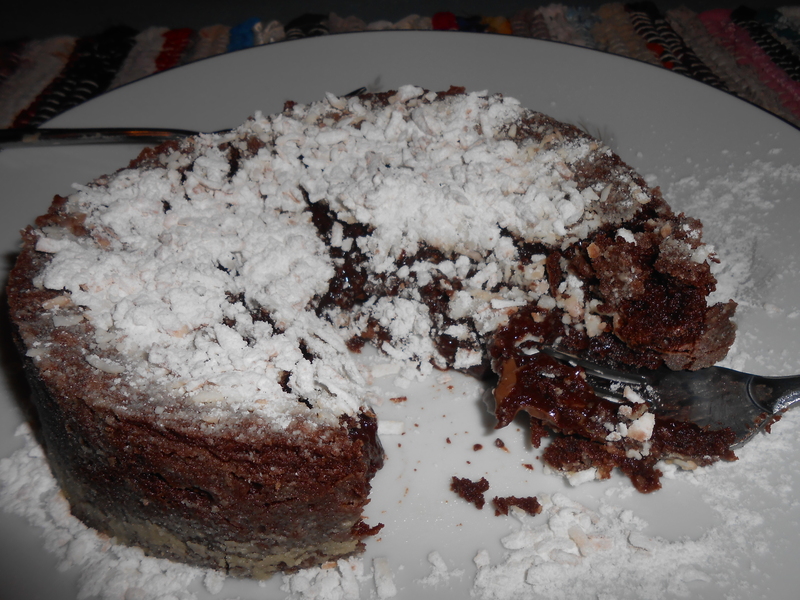 This is a ridiculously easy molten cake that can be made into either one 5″ cake that feeds two people on one plate (or one person- remember how I don’t judge? 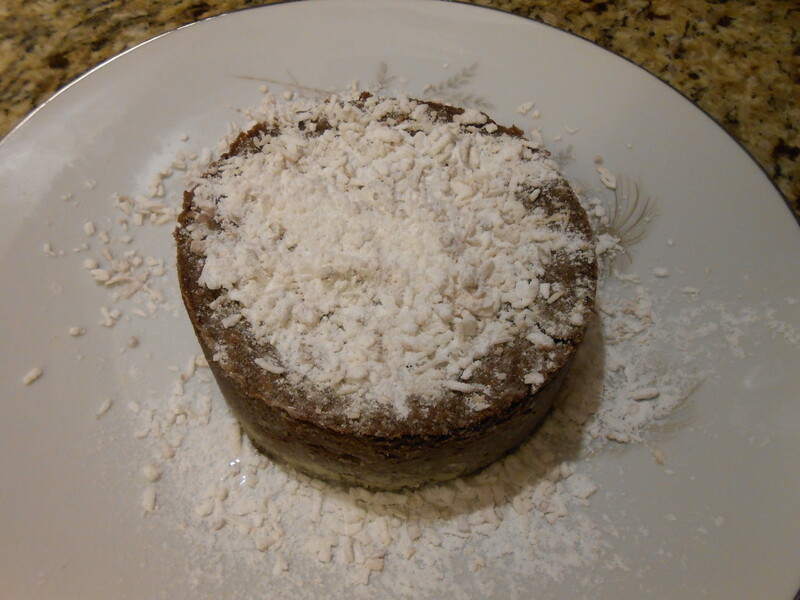 )- or baked into smaller souffle cups for individual servings. You probably have a lot of the ingredients on hand. No matter if you don’t have coconut oil- melted butter works also! Measure out about 2 tablespoons of coconut oil into a microwave safe bowl. 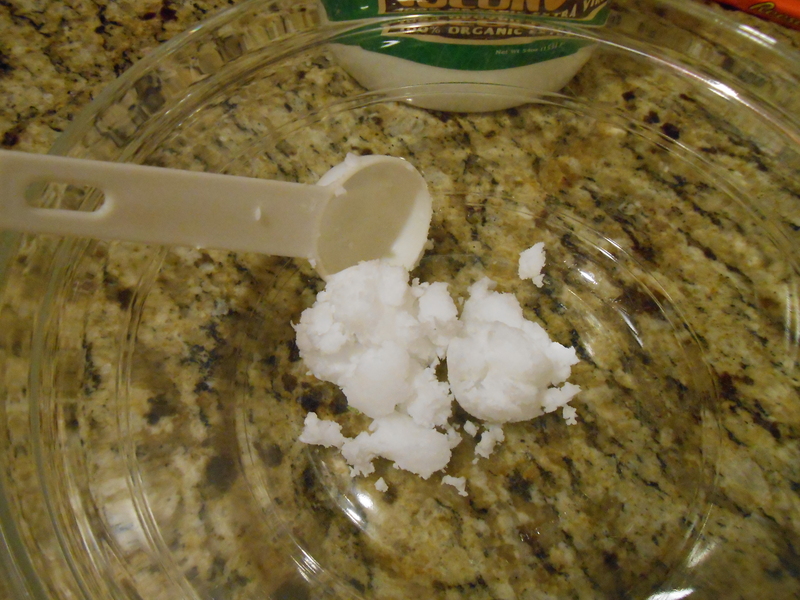 Microwave for about a minute until the coconut oil is melted. 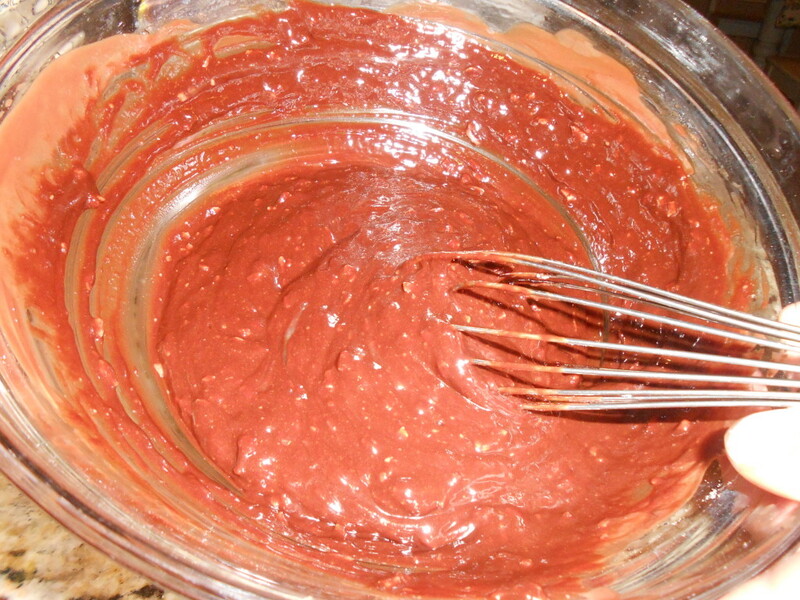 Add 4 ounces of semi-sweet or bittersweet chocolate to the oil, stirring to melt it all together. 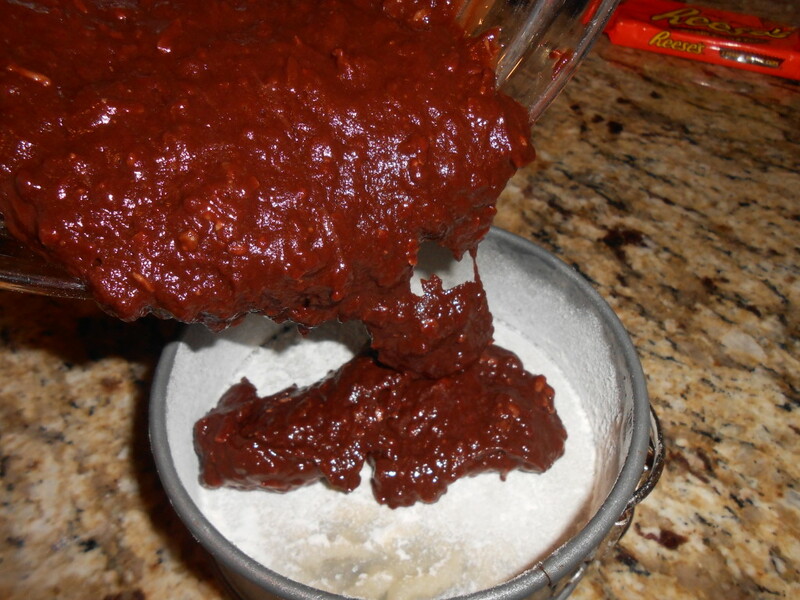 If the oil isn’t warm enough to melt the chocolate, get it back in the microwave for a minute or so. Next- the sugar. 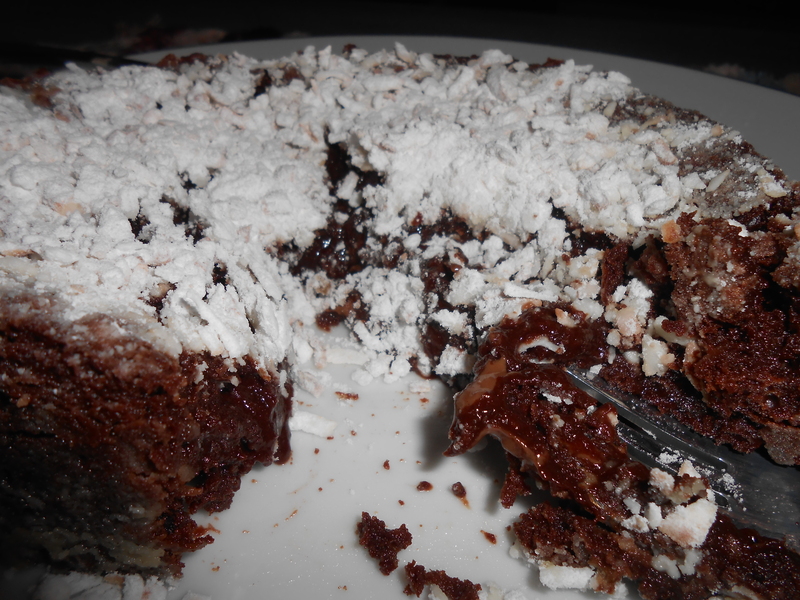 I used 1/4 cup of powdered sugar that had coconut shreds in it (from the marshmallows a couple weeks ago! Resourceful! )- but you can go ahead and use plain. 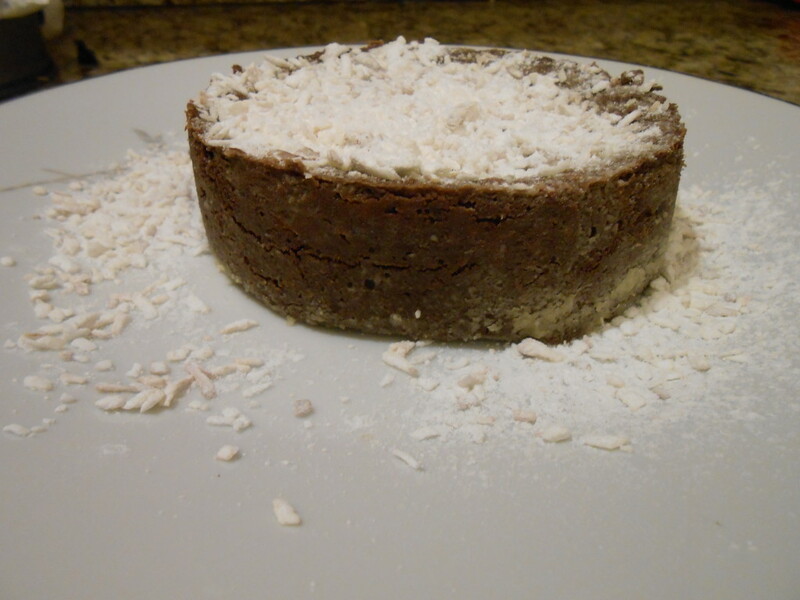 I loved the idea of coconut cake- so I made sure it got in there. 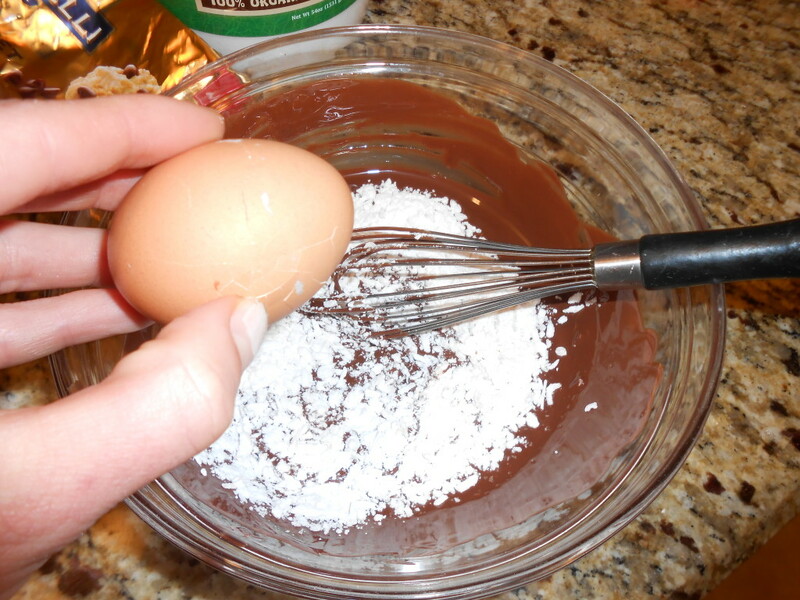 Next, add one egg, whisking to combine (notice we are using 1 bowl and no mixers. Win!) 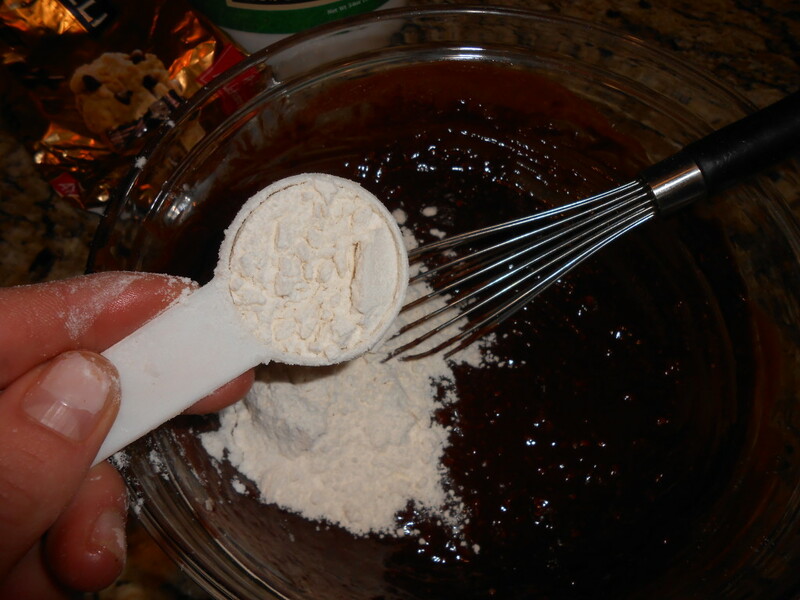 Add 2 tablespoons of flour- whisking to barely combine. I love my small springform pans- this is the perfect pan for this cake. It will release it perfectly and it is “portioned” (haha) Spray the pan with cooking spray and then generously flour it- tapping to evenly coat it. 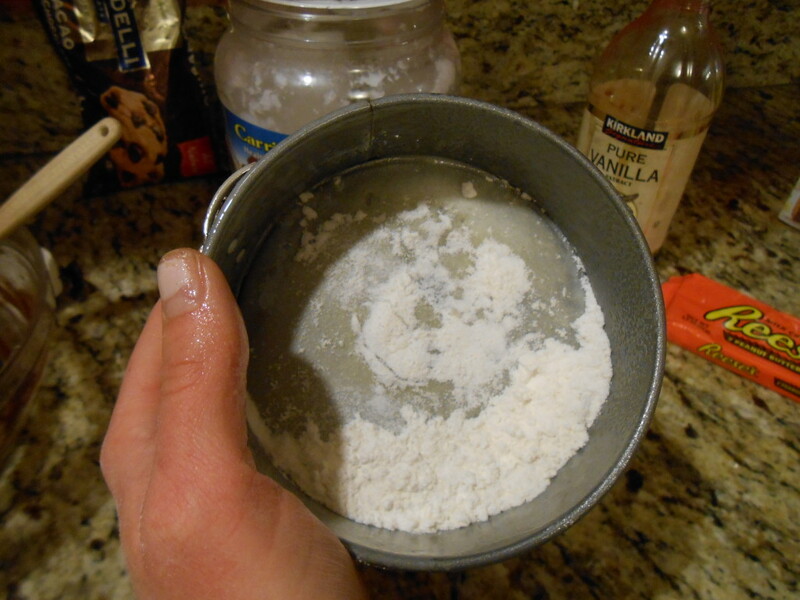 Discard excess flour. 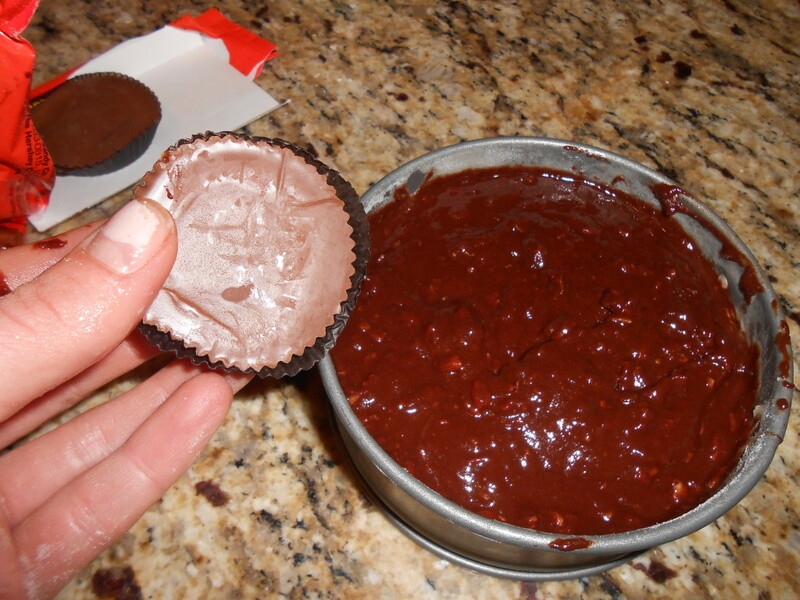 Pour the batter into the pan- then place two peanut butter cups in the center. Now.. you can leave this step out- the cake will be perfectly molten and it will still be decadent- but how can adding a Reeses cup be a bad thing?? Bake it in the oven at 400 degrees for about 10 minutes. The cake will still be wobbly in the center, but the top will appear mostly cooked-ish. Like this. A delicious and fast dessert for two to share.... or for one person in case of emergency. 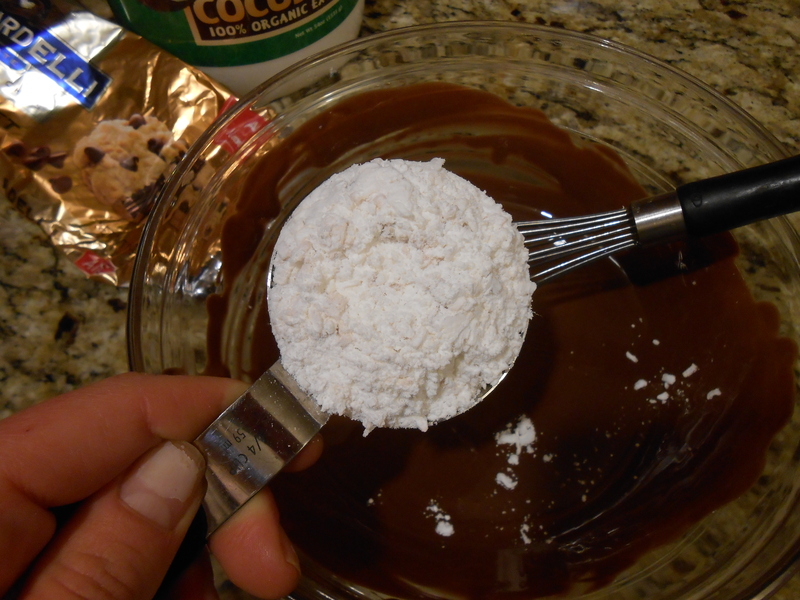 Heat the coconut oil to melt in a microwave proof bowl, and add the chocolate. 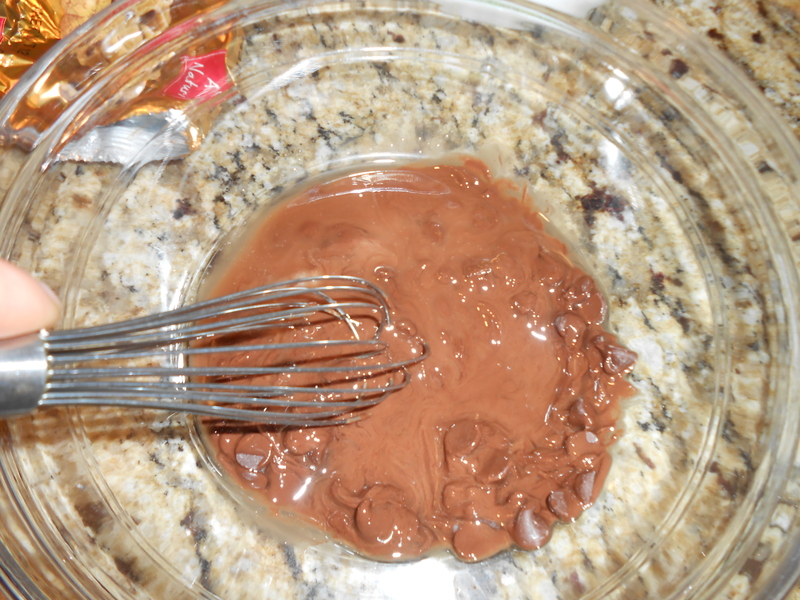 Stir to melt the chocolate; heat briefly in the microwave to melt the chocolate fully, if necessary. Whisk in the sugar and vanilla; add the egg and whisk to combine. 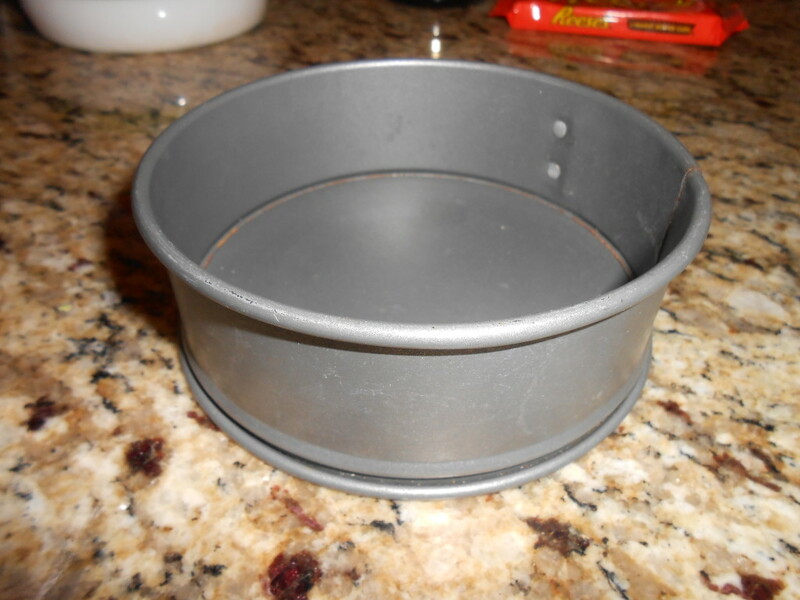 Prepare 1 5" springform pan by spraying with vegetable oil and coating the pan with flour. 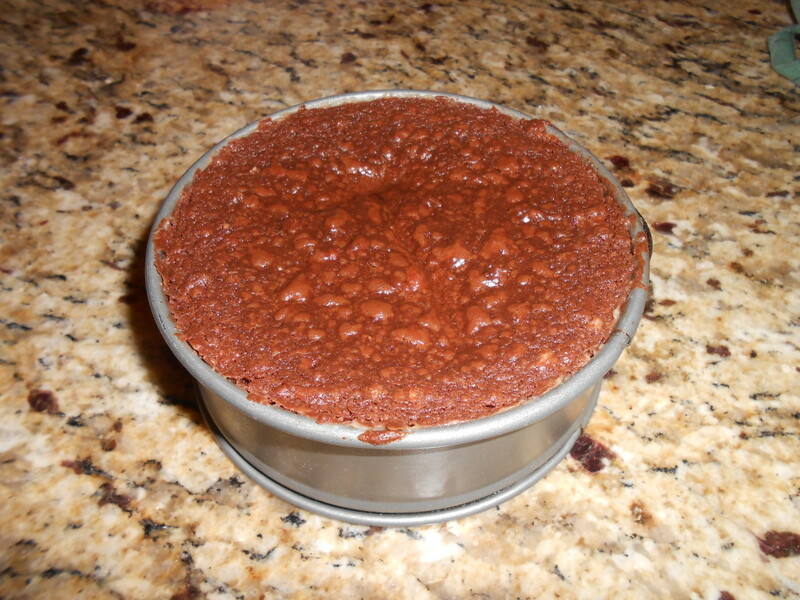 Alternatively, use a small souffle dish or 2 slots of a regular sized muffin pan. 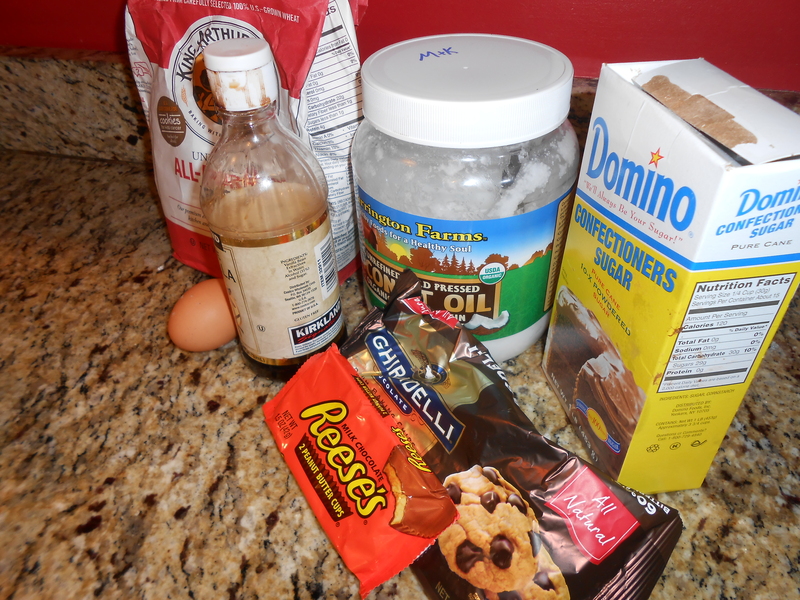 Pour the batter into the pan, and place the peanut butter cups into the center of the batter. Allow to stand for 10 minutes before unmolding. 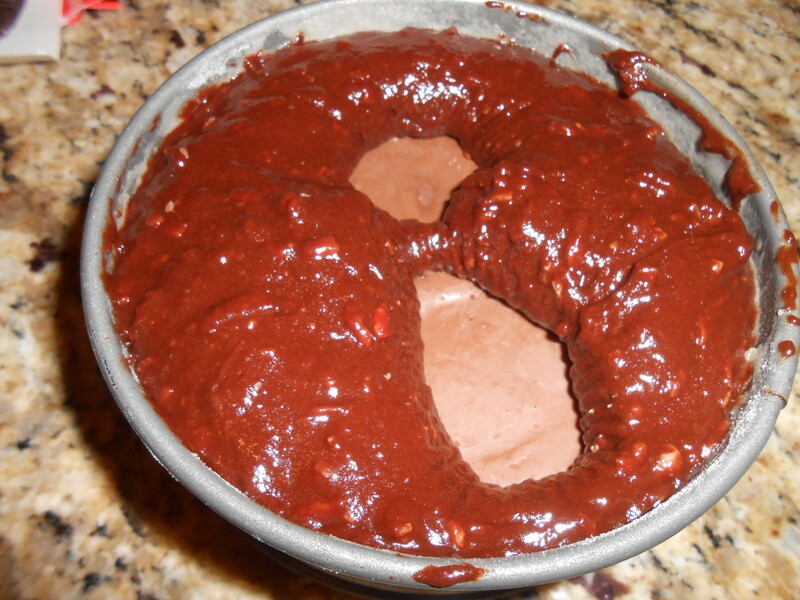 The cake should unmold easily. 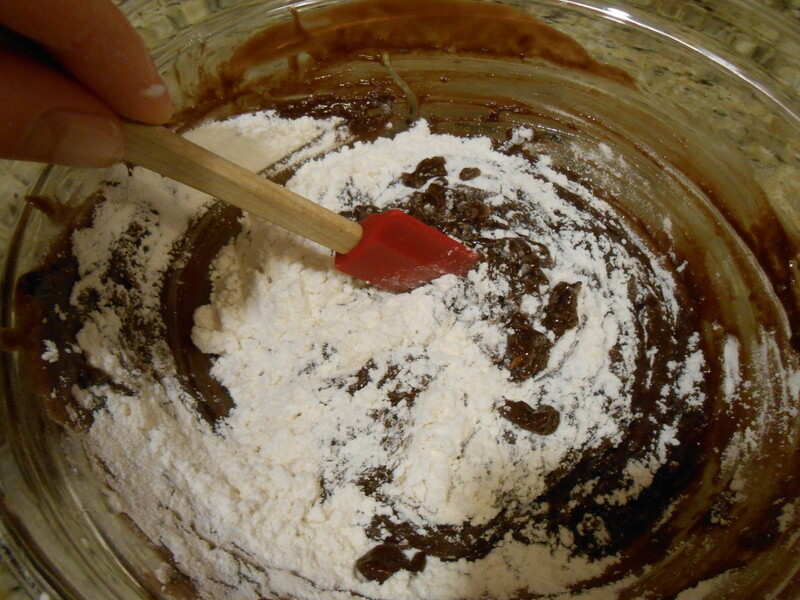 Dust (or coat) in powdered sugar- serve with ice cream or whipped cream if desired. Mid-devour- peanut butter and gooey chocolate amazing-ness. Awww yeah. The recipe is easily multiplied! To double it go up to 3 eggs. I find that it works really well in a greased muffin tin- just turn in over and they all plop out! Ohhhh my. I can’t believe this cake-it looks so good and moist, oh man! 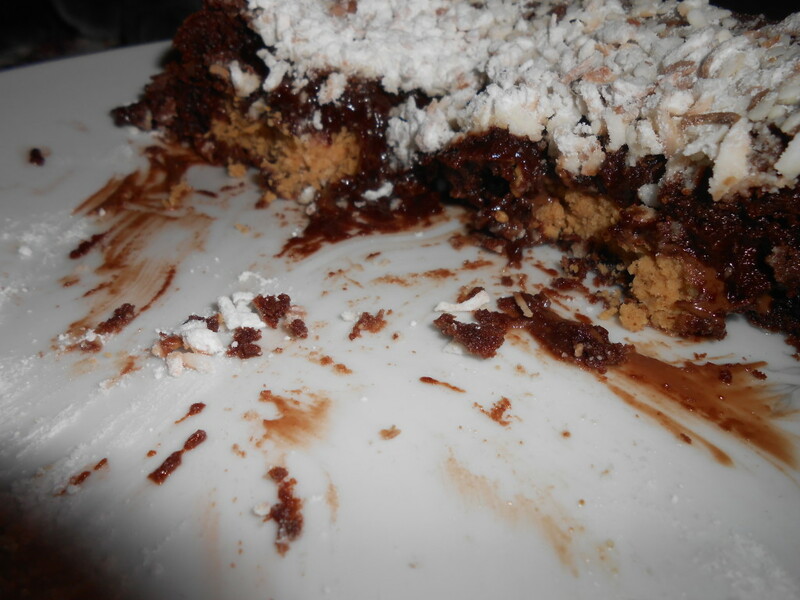 I will have to make this for husband sometime, he loves peanut butter cups! You really have the best recipes! I think I’m going to make your burgers one night this week!